The Sasikala camp is in talks with the O Panneerselvam (OPS) faction and they are trying to win them over, says an AIADMK insider. Negotiation have started between the main AIADMK, which is with Sasikala, and the splinter group that is supporting former chief minister OPS. The party insider says that if they arrive at an amicable reconciliation, regrouping may take place much before local body election and RK Nagar constituency by-election. Local body election may take place before May 15. There is time till June for bye-election to RK Nagar constituency that had fallen vacant after the death of chief minister J Jayalalithaa on December 5. 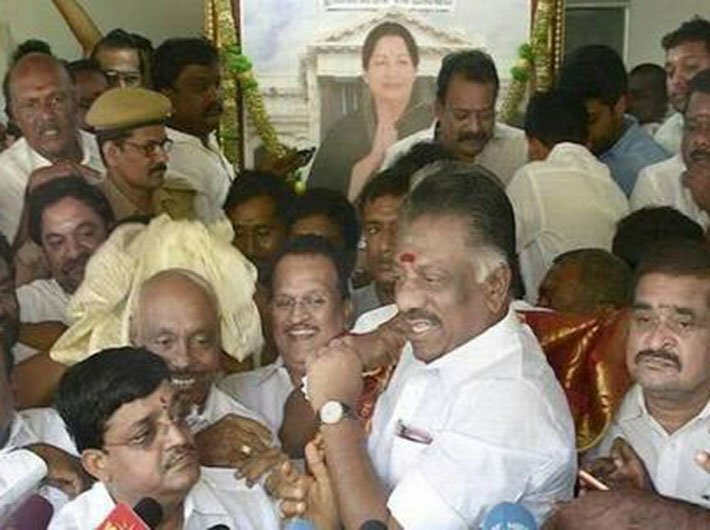 If regrouping happens, it may see OPS back as a minister. Talks have started through back channels and are not official till now. The AIADMK now faces a challenge from the new political formation of Jayalalithaa’s niece Deepa Jayakumar. Deepa floated the group on February 24, Jayalalithaa’s birth anniversary. Deepa calls it a political movement. She adds that it is a preliminary political formation which could become a political party in the future. There is section of AIADMK that is looking upto her. She is taking RK Nagar constituency by-election as a challenge.